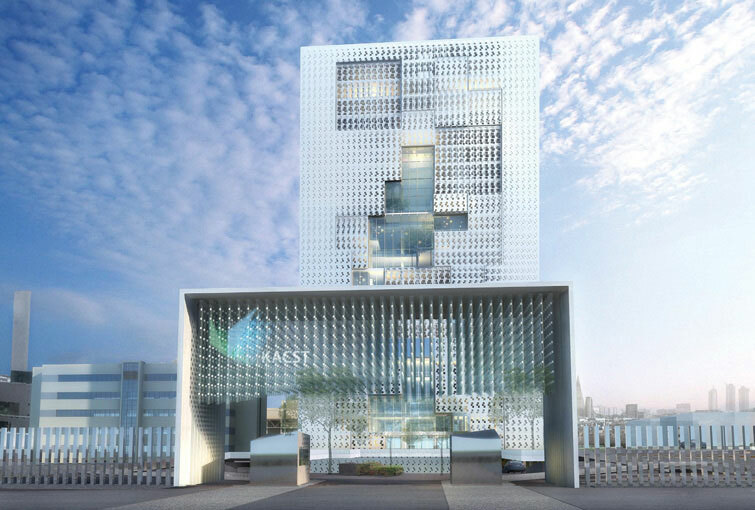 The masterplan for King Abdullah City for Science and Technology (KACST) in Riyadh, Saudi Arabia, as developed in collaboration with innovative German architecture office LAVA, set out a vision for a state of the art research and innovation campus. The HQ building forms the centrepiece of this impressive campus. 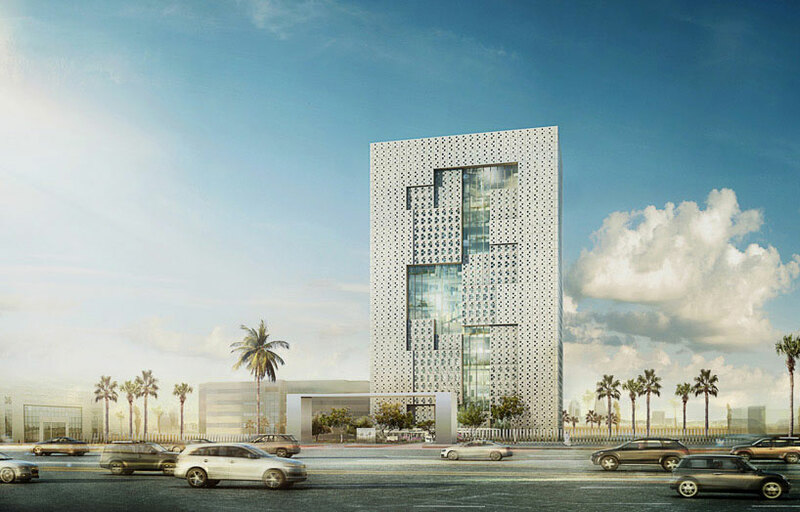 The headquarters building is an energy-efficient, high-rise tower; designed with detailed consideration of the local environment, climate and culture of Saudi Arabia. 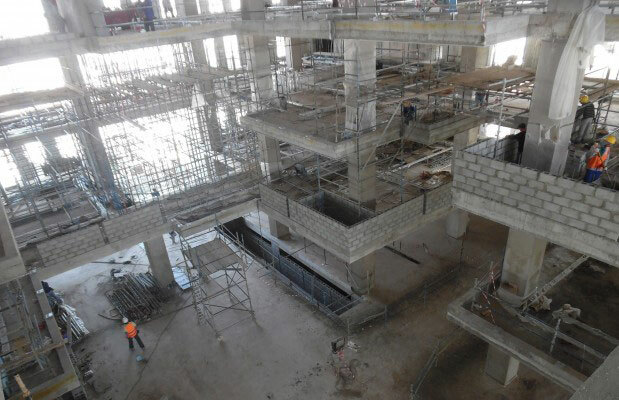 The building features a mix of glass balustrades, full-storey glass walls, and interior glass partitions. 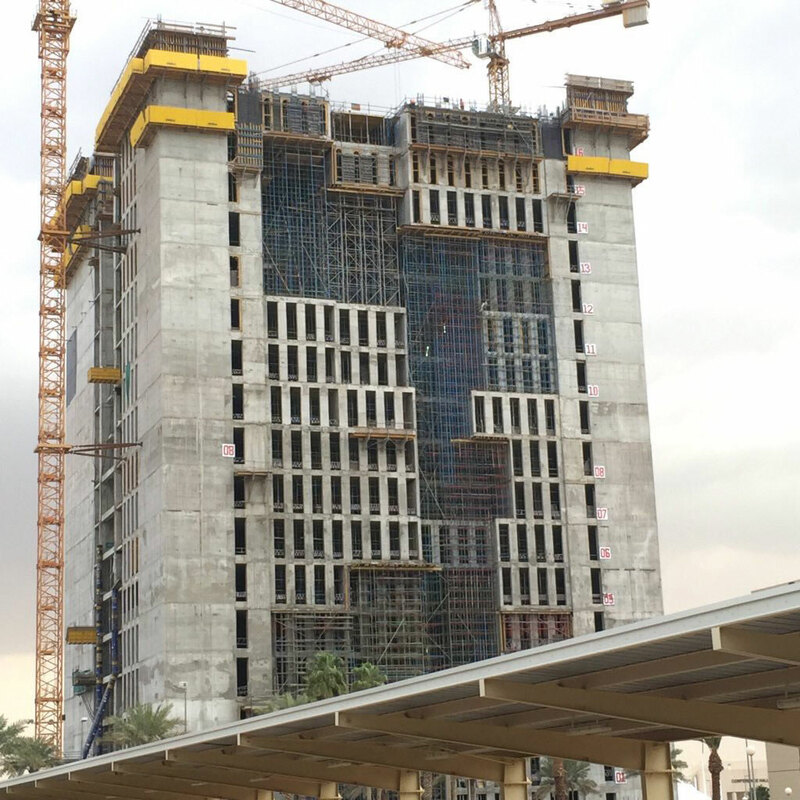 A special opaque coating is applied on the atria glazing to conceal its slab edges and fixings. The atria spaces connecting to the exterior facade are fully glazed. 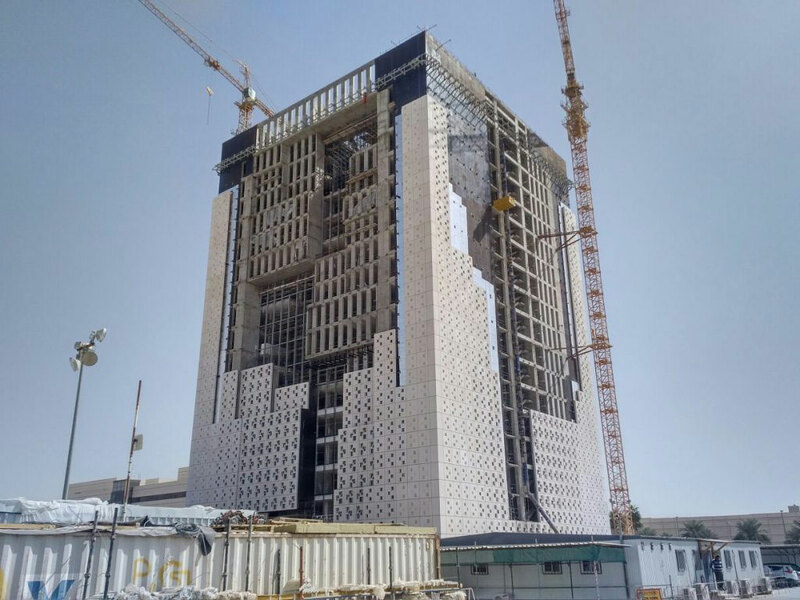 A unique pattern of windows and fibre-reinforced concrete elements were created for the tower’s external facade. All spaces are designed to be adapted based on spatial configuration and are responsive to daylight and shading requirements. An emphasis was placed on reducing solar gains and subsequently cooling loads in the occupied spaces, and passive design techniques were used to reduce temperatures within the buildings impressive atria. Dust control management was designed to be responsive to environmental conditions, as such conserving energy, and a mix of natural and mechanical filtration methods was used to improve indoor air quality. The possibility of algae tubes being used in the tower’s perimeter glazing and within the atrium to manage temperature was also considered during concept design. The tubes offer localised cooling and shading while generating algae for bio-oil, pharmaceuticals and high-value supplements for the food industry. LAVA were recently awarded a European Prize for Architecture as recognition for the HQ building’s innovative design and green facade. The building was also nominated under the future projects category at the World Architecture Festival 2016.